Your travel agency in Jordan with heart and soul. Sherazade Travel and Tourism is your first choice for individual private tours through jordan. Feel free to contact us nomatter if you are travelling on your own or even in a small group, to recieve a compatible offer for your trip to this beautiful country. The local operator will provide all the useful and important informations you need. Of course you can also utilize our Jordan Tours selection, to find a matching program for your vacation. We can garanty that you´ll find what you are searching for and that we can help you to realize your dream-holiday. Please visit our Jordan Tour selection, no matter if cultural, biblical or relaxation, we are sure your find something that fits your expectations. A cornerstone of the economy is the tourism in Jordan. The tourism sector is a large source of employment and is also very responsible for the economic growth of Jordan. In 2010 statistics show that more than 6 million tourists traveled to Jordan. Most tourists come from Europe and the Arab countries. The Ministry of tourism states that `Jordan is the home to around 100.000 archeological and tourist’s sites. The two cities Petra and Jerash are visited well by tourists and very well preserved, the historical sites of these two cities are the most important tourist attractions of the Kingdom. Jordan is also considered as the Holly Land with the several biblical attractions. Pilgrims visit Jordan frequently. Jesus Christ was baptized in the biblical location of All-Maghtas. There are also several Islamic sites in Jordan. One can find famous shrines of the prophet’s companions there. Tourists are also attracted by the modern entertainment the location has to offer, as well as the recreation. In Amman for example tourists enjoy visiting the many bars, nightclubs and restaurants. Alcohol is available in supermarkets, liquor stores and tourist places such as restaurants and bars. Jordan has gorgeous areas of interest for hikers. Several international tourist retreats are found at the seaside. 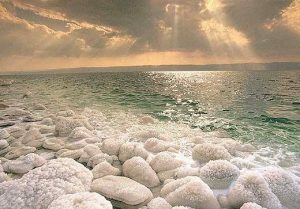 An example here is the area of the dead Sea. There are also many lakes in the Jordan areas. The lakes have the reputation to be very unique and attract many tourists each year. The climate in Jordan shows many variations from very hot to cool. In general, once notices that the further you go inland from the Mediterranean, the greater the contrasts in temperature are. There is not very much rainfall in Jordan. During the summer, the average temperature is between 30 and 33 degrees. The air is very hot and dry. The winter period lasts from November till March and the average temperature then is 14 degrees. Jordan for sure is an attractive and interesting place to visit and spend some time at. People are very friendly to tourists and are respectful towards children. It is certainly a place you should not miss to have traveled too. Enjoy your trip.